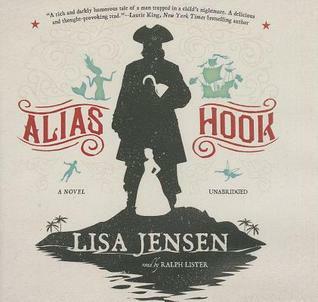 I have discovered my library’s digital library and have been listening to audiobooks the past few days. Their selection is a bit low, but there is enough there to keep me busy for another week or two. Wednesday: Indie-Visible 2.0 is a Go! 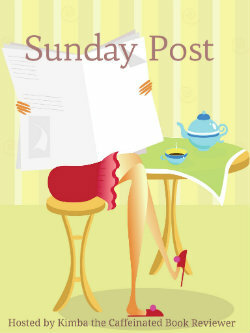 This entry was posted in General and tagged sunday post. Bookmark the permalink. I am so glad you are loving audios. They have increased my reading. Too bad your library selection is low. Can you hook up with a state library as well? I’m going to try tomorrow, hopefully they allow out of regions library cards to link up! I love my library’s digital site! That’s the way I get my audios as well and I’m really enjoying them. I agree the selection could be better but it’s a whole lot more affordable! Have a great week! Exactly! Plus I might actually start getting into new genres this way, lol. Since taking advantage of SYNC this past summer, I really started to explore my library’s audio collection as well. I wish the search feature was a little better, but I’m using it to listen to books that I already own, but haven’t had time to read yet. I love SYNC though I haven’t listened to very many of them yet. I’m going to try to get to The Raven Boy soon. It’s not a problem! I hope the work week is kinder to you this week. I can’t wait to get into Shadow Scale, I ‘ll have to brush up on what happened in book one though. Looking forward to your thoughts on Wells’ book, since I got that one a while back and have not read it yet. Not sure why, Star wars… 🙂 Nice post on love of blogging as well, very well said. You gotta be yourself to be happy, in blogging like anything else. Thanks Greg. I really liked Razor’s Edge, and my review should go up in another week or so. I have just discovered that my local library now has a digital selection too. I’m not even a member but as soon as I get through some of my own backlog, I’m going to join. Hope you enjoy the audiobooks, I love that I can listen while I do other stuff. It’s a really great way to get through some books while I’m sitting at the store, and i find that I don’t lose interest as much if I’m listening to it. I wish our libraries would carry e-books and audiobooks, too! It would definitely make things easier. As it is, I’m happy I can order my books form the US, so that I get both my e-books and my audios whenever I want them. I hope you’ll enjoy all your new books and that you’ll have a great week ahead. Thanks Lexxie! I really wish my library had more of an option, but I’m definitely glad they have it in general because it really saved me from not having anything to read this past week. I have one on hold that won’t be mine for another month, so I keep putting others on hold that don’t have as long as I can keep busy until then. 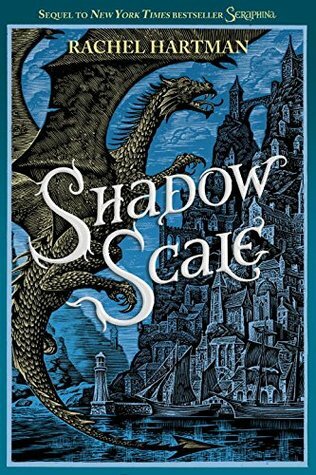 Shadow Scale sounds like it will be a great read. Hope that you enjoy and have a great upcoming week. I’m hoping it will be and thanks Brandi! 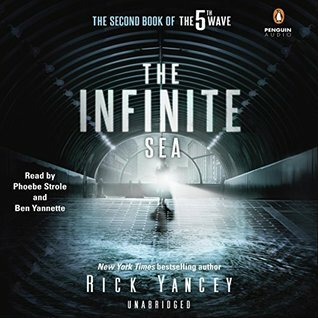 I’m listening to a couple of audio books right now. Starting to really like it. And I can listen at work. It still won’t take the place of my love for print reading though. I have Rhiannon’s book and hope to finally read it soon. And it seems like a lot of people are reading Shadow Scale. That cover sold me! I love the covers for the Seraphina series, they are stunning. I’m really enjoying the audios too, I love that I can work on other stuff at the same time. I should look into digital audiobooks, so I can listen on my ipod. I need to read at least two for a class I’m in this semester, and I’ve never listened to one! They are definitely helpful and little more convenient when your schedule doesn’t allow for actual reading time. Loved your post on For the Love of Blogging. I’ve only been doing it for about 1 year, but had to scale it right down. Never had I thought what hard work it is to keep up. It did often feel like a full time job. Love doing it, but sadly don’t have the time. Now I just blog when I want and don’t even look at the numbers of followers or page visits. Takes the fun out as you so rightly said. And a stop on review copies for me for the time being as I never got to read the books I’ve got on my TBR pile any more, just one review book after the other. Which is lovely to get them and I ‘met’ some lovely authors but it quickly got on top of me. Review copies can be a blessing and curse all the same breath. It’s so awesome to find new reads and try out things before they ever hit the shelves, but it builds up quickly. Glad you enjoyed the post Peggy.